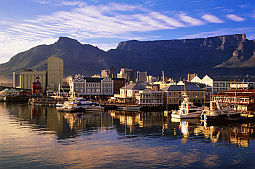 Ocean waves are monitored continuously off the Cape Peninsula in South Africa. 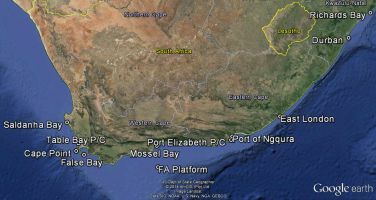 Detailed information is directly available in real-time, for operational purposes, to NPA (Cape Town) and NPA (Saldanha Bay). The data is gathered with a directional Datawell Waverider buoy, situated at 34°12'14.40"S, 18°17'12.01"E in 70 m water, about 5.4 km off the coast. Measurements are processed on board, and transmitted to a shore station every half hour. The analysed data is then downloaded in near real-time to the Stellenbosch office of the CSIR, where it is stored in a database extending back to 1978.